Such provides a nice surprise with the drama “The Gambler,” which finds him in a role the utilizes his charisma and acting skills, within a tale that doesn’t involve directors Michael Bay or Seth McFarlane. Playing a college professor who gambles his life away, the film is a showcase of his talents, like his compelling motormouth delivery, or a stable cool that he maintains even when his character is falling apart. Here’s a film that offers a scene of Marky Mark rambling about Camus, passionately and genuinely, and it could only be done with such flair by Wahlberg. The movie is a bit of a trip. A key component to “The Gambler’s” unexpected force is director Rupert Wyatt, who is game to make an “adult drama” that involves a character’s existential crisis, and still makes it accessible to mainstream audiences. It’s the charm that he puts in little decisions, such as cutaways or unexpected music cues (when Michael Kenneth Williams’ gang lord puts on a Bon Iver record, for example), that keep the movie delightfully out of grasp, offering something new. 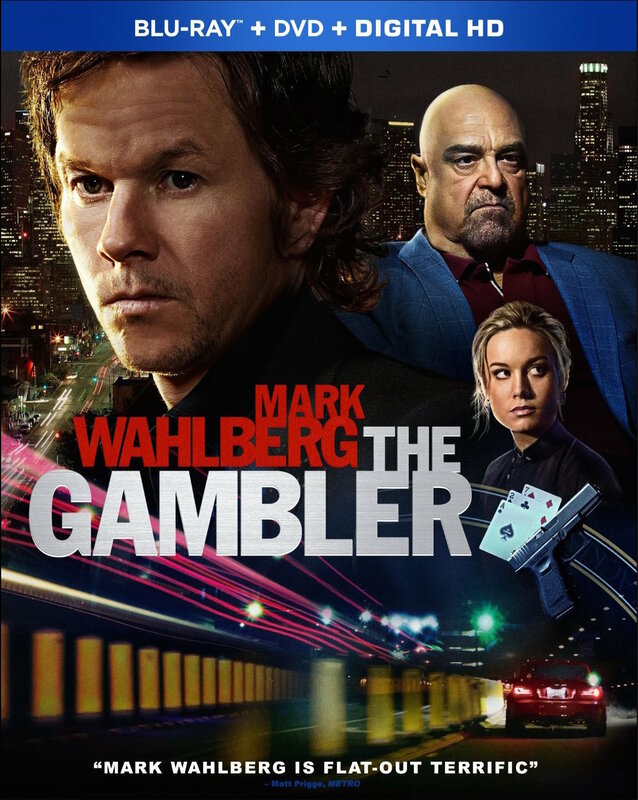 Released last December right in the middle of the awards hubbub, “The Gambler” was no big winner for Wahlberg’s sincere dramatic efforts, or this screenplay’s (by William Monahan of “The Departed”) efforts to shake things up. However, that’s no reason that this film should be overlooked, especially when it offers something different, if not unexpected for a drama made by a big studio. Give it a chance. ”The Gambler” was released on Blu-ray and DVD on April 28, 2015.